INVESTOR ALERT! 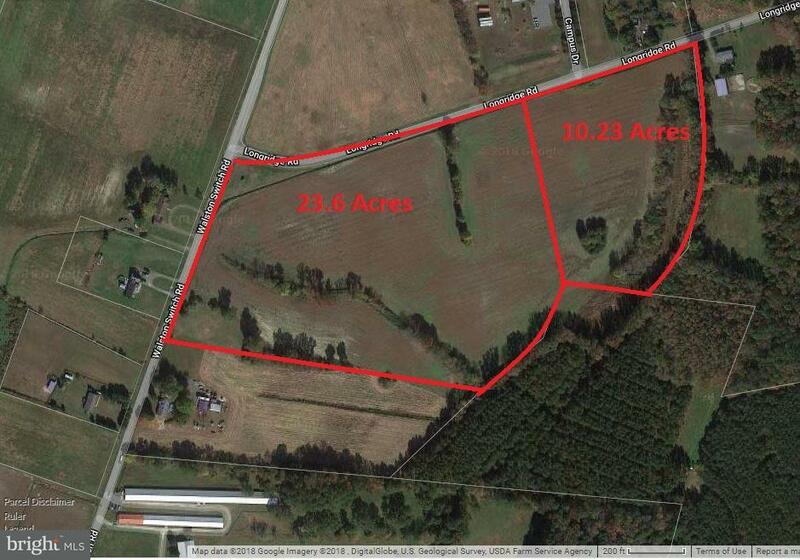 This 33.9 acre property consists of two parcels. The first parcel has 23.6 acres and second parcel has 10.23 acres. The property is located just right off Route 50, just south of Wor-Wic Community College. The property has roughly 690ft of road frontage on Walston Switch Road and over 1,600ft of road frontage on Longridge Rd. The property is located about 1/3 of mile from city water and sewer. The property is currently being farmed.